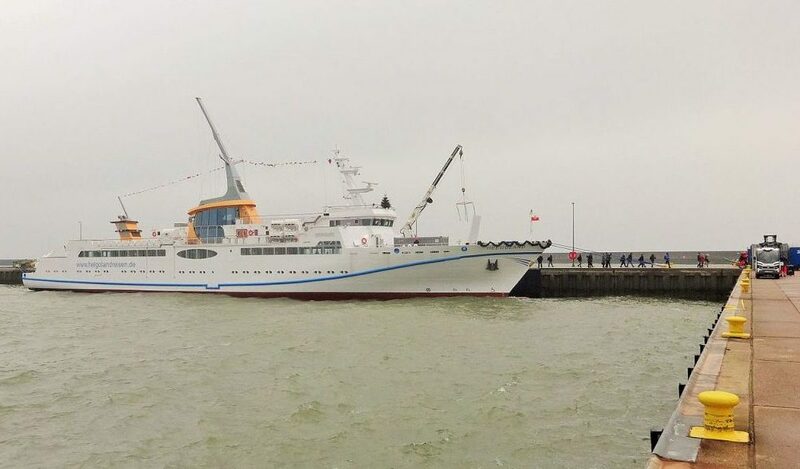 Sein and Houat in France, Tilos and Itahaka in Greece, Vis and Lastovo in Croatia and Cape Clear and Inisheer in Ireland. To save 25% of the water used on an island, and to show all our European comrades how to do it. Eight islands, all members of ESIN (the European Small Islands Federation), with a scarcity of freshwater, are challenging themselves if they can save water. The 7-month long project has four parts: (1) field studies on each of the islands, including the hydrogeological situation of each island, how much water is needed and consumed, how much water is produced, and how this water is produced; (2) a joint workshop with mayors and water managers from the eight islands, comparing and adjusting the results from the field study reports, and estimating how much water could be saved through changes in human behaviour, through engineering, and through governance; (3) individual Water saving plans created on each of the islands; (4) a conference in Brussels where the results are presented in hands-on format, and disseminated through the ESIN network (1,640 islands with 359,000 resident inhabitants). 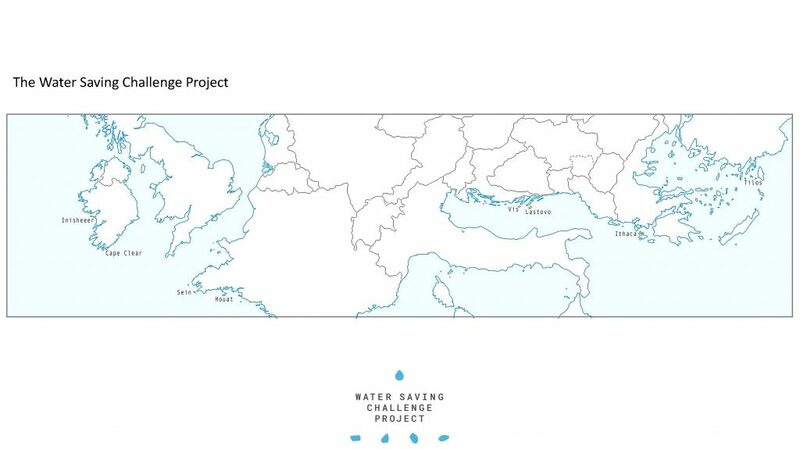 The project results are disseminated through the ESIN network https://europeansmallislands.com/water-saving-project/. In November, a website will be launched, a hands-on guide on water saving for municipalities, backed up by a booklet. 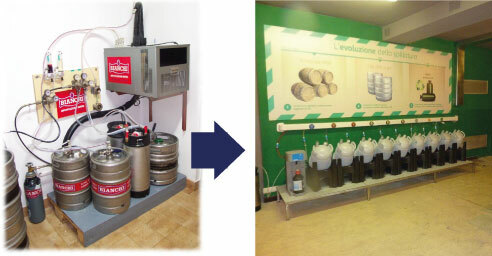 Next step is to create Water Saving Labs on some or all the islands, developing (a) water saving campaigns and training programs in water saving for schools, tourists and tourist businesses, water walks and a mobile water saving exhibition; (b) promote knowledge on how to use rainwater, on leak detections systems, refitting pipes and new pipe technology, water production monitoring systems and solar energy for RO plants; (c) the right for islands to be well defined laboratories when it comes to controlled experiments on use of rainwater, reuse of water and non-conventional pricing. During the workshop (part 2 mentioned above), mayors and technical managers made an estimation of how much water could be saved through three different kind of measures, and concluded that Sen and Houat can save 40% within two years, Tilos 25%, Ithaca and Vis 10%, Lastovo 30%, Cape Clear 55% and Inis Orr 26%. 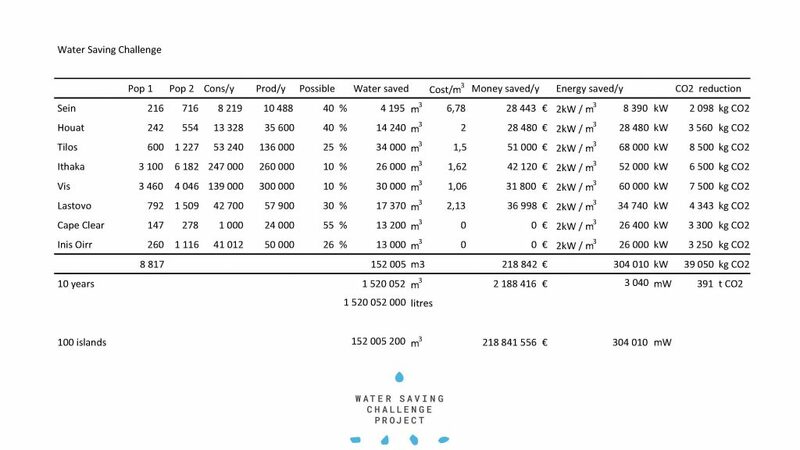 Given the different costs for producing (or shipping) water to these islands, the sum of savings would be 218,842€/year. Freshwater is a strategic resource on islands, often scarce. Saving water means becoming more resilient and sustainable. 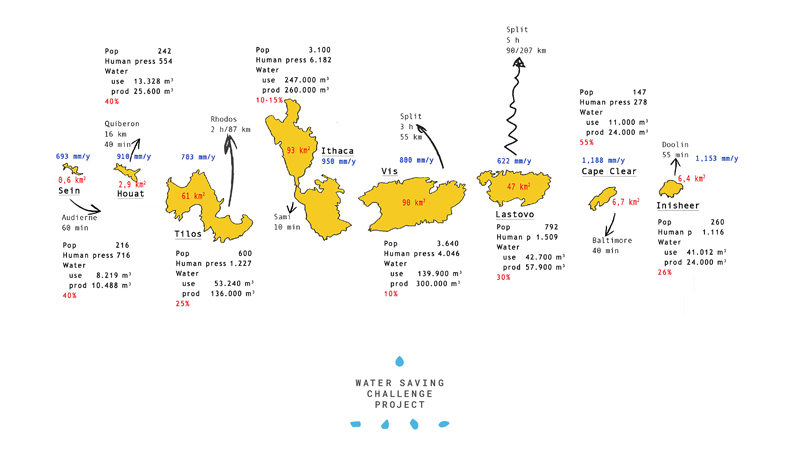 The energy cost for procuring water to these 8 island societies varies from island to island, but given modern osmosis processes to produce desalinated water in general need 2 kWh/cubic meter, the energy saved can be estimated at 304,010 kWh/year and the reduction in CO2 emissions as 39.050 kg/year. A map which show where the islands are on the map of Europe. A calculation in excel of the results we expect.